Speeding up one’s metabolism has been a mystery for millions of people who wish to once again obtain the bodies they had all those years ago. Figuring out how to speed up your metabolism has seemed like mission impossible for some, yet others manage to speed up and slow theirs down like it is a lawn mower. 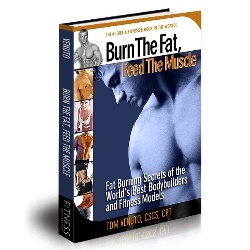 If you have never taken control of your metabolism before, you may not realize just how easy it is to train your body to burn fat at a higher rate. Here are a few can’t miss tips for speeding up your metabolism. 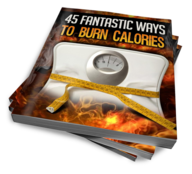 First, you need to equalize the number of calories you take in compared with the number of calories you expend. This can be done in a number of ways. Most people achieve this goal by counting the number of calories they take in and significantly increasing the amount of physical exercise they perform. It is going to take a few days, or even weeks, to manage this trick simply because most of us aren’t used to counting every calorie we take in. People also aren’t used to working out so much that they expend a thousand or fifteen hundred calories every day. Next up, you need to begin integrating more cardio into your daily workout routine. Many people get into ruts when it comes to working out. They get stuck on weights or they think they can just do aerobics and call it a day. The reality is that a good workout is a complete workout. If you want to get your metabolism in shape, you need to bring cardio into your daily routine. You can choose to work on both short and long term cardio. Short term is like sprinting and long term is like running a marathon. Both work wonders for your metabolism. Once you have started a good workout routine, begin upping the amount of healthy food you eat per day. Those fad diets like Atkins are right about one thing: you do need to eat more often to get your metabolism working better. However, you also need to integrate the exercise part as well. One without the other won’t do anything for your metabolism at all. Begin to introduce more protein into your diet and even consider adding an entire extra meal into your diet plan, bringing the total to 4-5 meals per day. With the added workout, you’ll start building muscle and increasing your cardio in one. Some final tips for the person who wants nothing more than the metabolism you had when you were 15. Avoid over the counter herbal supplements that claim to work miracles. If you want to begin taking a multi-vitamin, that isn’t a bad idea. Don’t think, however, that you have found the cure for your slow metabolism in a bottle. You can also talk to your doctor if you feel that you aren’t obtaining the results you are after fast enough. It could be that you have a medical condition that is getting in the way of your ability to lose weight. Not knowing how to speed up your metabolism couldn’t be the only problem. A health issue could be preventing you from gaining muscle and speeding up your metabolism like you want, so check it out with your physician.